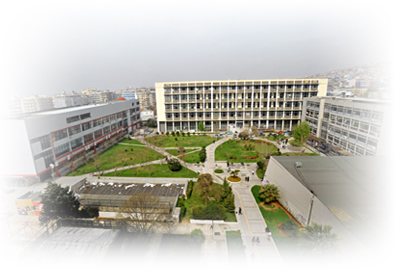 Since 1998 we have been cooperating regularly with the Aristotle University of Thessaloniki. We can now highly emphasize on being the only ones who know best the needs of the University Community. Our cooperation with the delegations of information technology’s products, allow us to cope with the quality and price demands. Consequently, we are able to cover the needs of the Theoretical Studies Departments, but also those more specialized of the Faculties of Science and Engineering. The products’ deliveries are done immediately , being aware of the time commitments and the demands that characterize teaching. We give great importance, though, to technical support. Our team’s technicians are qualified and experienced, available 24 hours a day to respond. Now, with our new service Pickup service from your place, the academics can become a member and benefit of our immediate service and the new privileges our company promotes. Each academic has his/her own member card in our company, to get informed immediately about the products they have bought, but also the invoices that have been issued through the Special Account for Research Grant or through Regular Budget. We also participate from the material- technical point of view as sponsors in congresses and workshops, helping as much as we can in the success of these events, which aim to present our University. Our purpose is to be continually next to the teachers, the Department, the Laboratory, Computer Lab, the Secretariat, the Library, the employee, and with seriousness, responsibility and consistency we can provide our services on the Information Technology field.